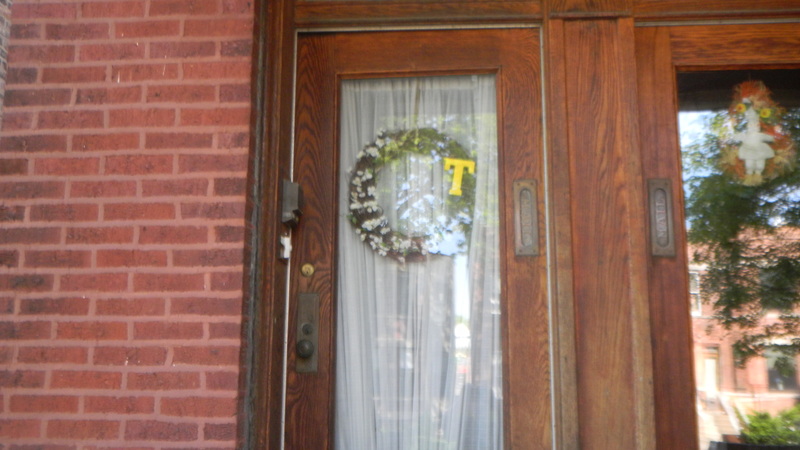 After Easter was over, I took down my egg wreath and since then, my front door has looked a bit sad. I was quite pleased with the way it came out. Very warm weather-looking, which was exactly what I was going for. It couldn’t have been simpler to make either. 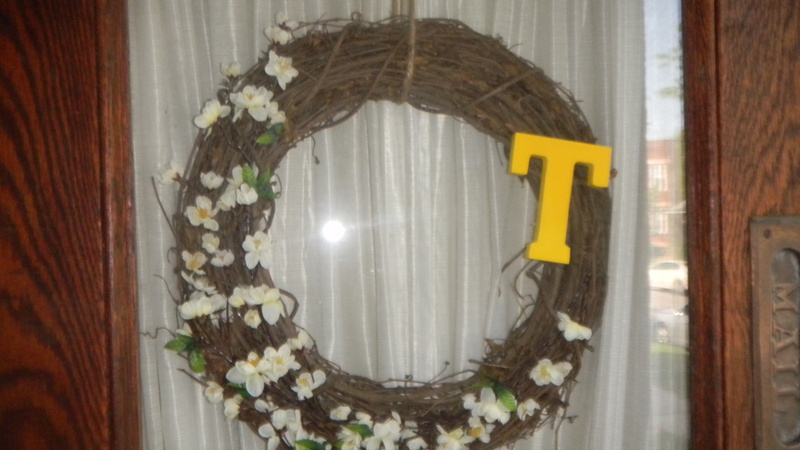 I already had the grape vine wreath and the yellow wooden T, so the only thing I needed to purchase was the flowers. I found them on sale for around $5 at JoAnn’s. It came in one big bunch. Putting the wreath together took no time at all. 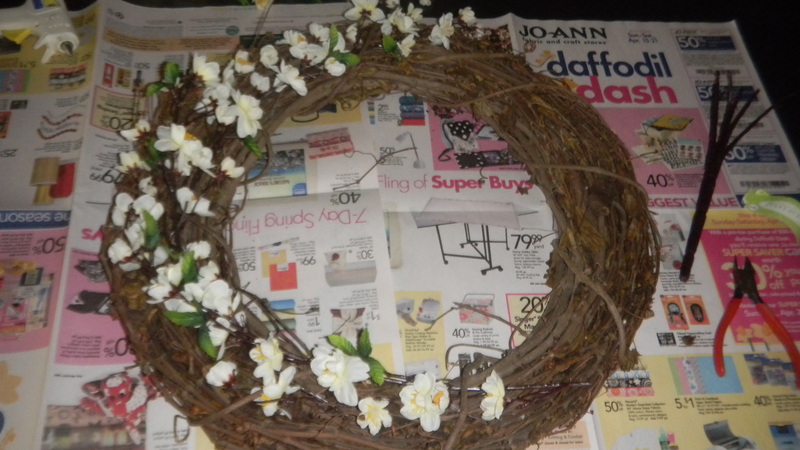 I weaved the flowers to be intertwines within the grape vine branches. I didn’t have to use any kind of adhesive. 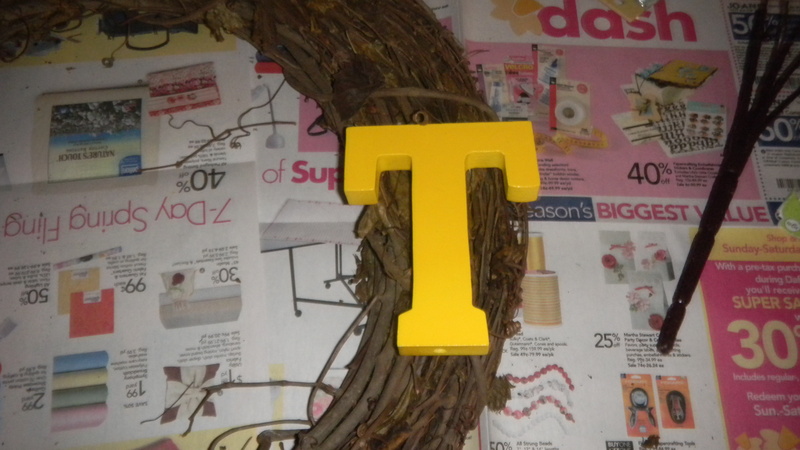 As for the T, I originally had the idea to use hot glue, but then I thought that if I ever wanted to change the look of the wreath, I’d have some trouble. There was a staple in the back of the T, so I just looped some picture frame wire through it, then weaved the wire through the grape vine branches. I tied the ends of the wire together in the back, and you can’t even see it. Love the way the wreath welcomes you in. Happy Friday! Enjoy the beautiful weather!